Chengdu, located in southwest China, is the regional capital of Sichuan province. It is also one of the most important economic centers, transportation and communication hubs in Western China. More than four thousand years ago, the pre_historical culture of Jinsha established itself in this region. The fertile Chengdu Plain, on which Chengdu is located, is called Tianfuzhiguo in Chinese, which literally means "the country of heaven", or more often seen translated as "the Land of Abundance". Ranked third in the Cities of Best International Image in China, and officially recognized by the UN Habitat Environmental Award, Chengdu has typical sub-tropical humid climate, with an annual temperature of around 17.5 thus it is widely known as “the City Never to Leave”. 5 UN World Heritages which is only second to Beijing and numerous gorgeous sights including the Giant Panda’s breeding base have embarked its reputation as an ultimate tourist resort. Today Chengdu has inherited the legacies passed down from the past, while at the same time it is absorbing and creating modern culture. As an oriental metropolis, Chengdu is a place mixed with traditional culture and modern civilization: an art gallery, varies from Sichuan Opera and embroideries to contemporary paintings and concerts; a cuisine gathering, famous for its Sichuan Cuisine, Hot Pot and snacks; a shopping heaven, embodied with products from original Chinese handicrafts to the latest Louis Vuitton tote or Ferrari speedster. 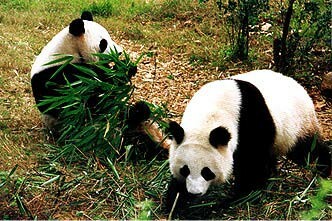 As a genuine “homeland of giant pandas”, Chengdu has panda distribution in Qionglai, Dali, Congzhou and Dujiangyan. In 1987, the Panda Breeding Base (thereafter refer to as the “base” in brief). Combining the geographical advantage and technological and personnel advantages in rescuing, artificial rearing and panda research of Chengdu Zoo, the base strengthened its effort in protecting the land for panda immigration, improving panda research and breeding, increasing the number of pandas and, beginning the training to return the pandas into the wild after the total number have increased to a certain degree to supplement and revitalize the panda species. Through transforming the crucial results of researches about “panda twins nursing”, “panda artificial insemination” and “panda DNA finger probe and extraction of DNA”, the base has successfully bred 48 pandas since its establishment. It covers an area of 600 mu, among which 24383 m2 in construction area, 16883 m2 in floorage, 18000 m2 in water area and 305,686 m2 green area, with a coverage rate of 93.77% and greenbelt rate of 80.63%. And three museums are already built there, namely the panda museum, the butterfly museum and the verterbrate museum, among which the panda museum is the earliest one of its kind in the world. 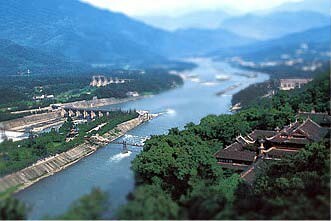 Located in the middle reaches of Min River in western Chengdu plain and western Dujiangyan city,Dujiangyan is the only preserved oldest grand water- control project without using a dam to channel the water. For 2200 years, it is still being utilized and, has turned the western Sichuan plain into a “land of abundance” which can freely adjust its water supply. This site is now one of the UN World Heritages. 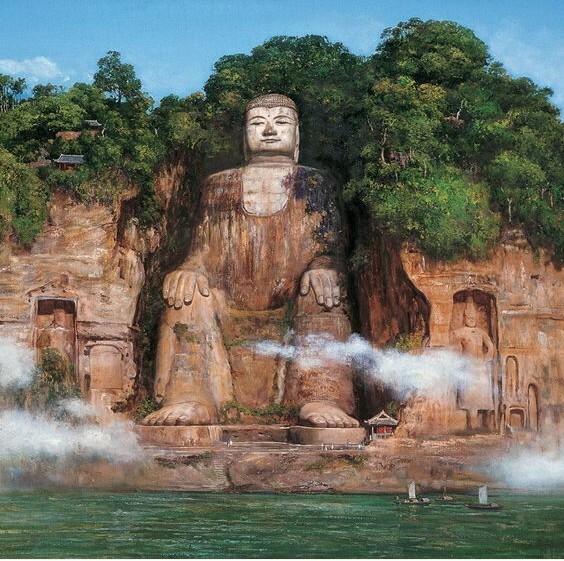 Perched in the suburb of Leshan and the confluence of Min River, Qingyi River and Daduhe River, the giant Buddha sits facing the city of Leshan across the river. Constituted of Lingyun hill, the tomb of Ma Haoyan, Wuyou hill and the giant Buddha, the whole scenic spot is 8 km2 in size. The famous tourist destination has shown the best of both natural and historical scenes in Leshan, and is affiliated to the larger Mt. Emei scenic area of the national level. As an oriental metropolis, Chengdu is a place mixed with traditional culture and modern civilization: an art gallery, varies from Sichuan Opera and embroideries to contemporary paintings and concerts; a cuisine gathering, famous for its Sichuan Cuisine, Hot Pot and snacks; a shopping heaven, embodied with products from original Chinese handicrafts to latest Louis Vuitton handbags or Ferrari speedster. 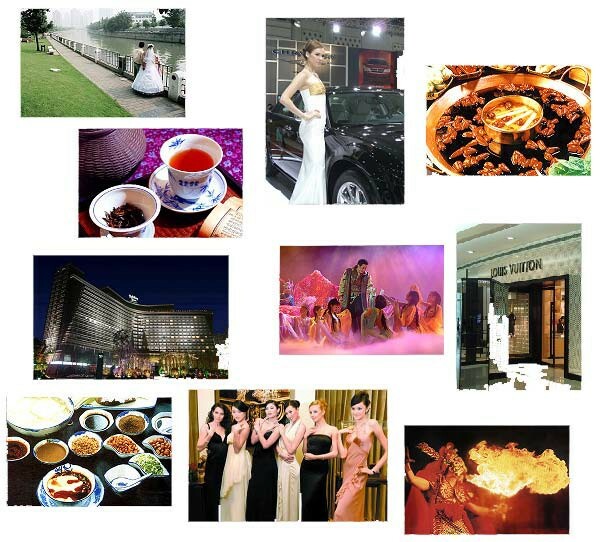 Lifestyle in Chengdu is easy and comfortable. This city, since Director Zhang Yimou’s famous movie, has gained itsname “A city never to leave”.